You switch on your computer and nothing happens. Incorrect or underpowered Power Supply Unit. Broken power button and/or power board or inverter. If your computer is turning on and is beeping and not giving any type of picture on the display, please see Problems with the Power On Self Test (POST). If you are uncertain if the computer is turning on or not, this can be easily checked by locating any fans in the computer. If these fans are spinning, the computer is receiving power. Before you carry out any work on your computer make sure you protect your PC's delicate circuits from static electric charges on your body by properly grounding yourself. If you don't have a grounding strap at least ground your body by touching the metal part on the outside of your PC's case before touching the inside of your PC or any component, including the motherboard. Verify that the power connection is connected properly to the wall and the back of the computer. If the connections appear to be connected properly, attempt to disconnect and reconnection both ends of the cable. Also check any fuses as you would be surprised how many PC problems are the result of a blown fuse. If you have a power strip (surge protector) or switch used to turn everything on at once, temporarily disconnect the computer from that switch and connect that cable directly to the wall outlet. This will help verify that the strip or the switch is not broken. Check the fuses here as well. Verify that the outlet works by connecting a different component to that switch. Verify that the cable supplying your computer is not damaged by using another power cable. If you have an older PC and still use a standard CRT monitor, this cable can be used in place of the computer power cable. If you have a portable computer or laptop, when the cables are plugged into the laptop you should see a power light or battery charge light. If this light is seen, this is a good indication that the power cable is good. If additional hardware has been recently added to the computer you should temporarily disconnect that device or devices to verify they are not preventing your computer from turning on. If the computer was working fine before you added the new hardware and removing the third-party hardware did not resolve the issue, and the computer is not beeping but is turning on, please see Problems with the Power On Self Test (POST). If you are building your own computer or if the computer has never turned on since you purchased it, it is possible you are using a Power Supply Unit that does not supply enough power for all the components you have added to your PC. You may even have fitted the incorrect type of PSU. 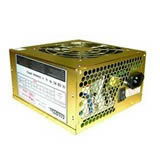 You should verify that your Power Supply Unit meets the requirements of your motherboard and processor. If your computer is a laptop or portable computer that utilises a battery for mobility its possible that the battery may be causing your issue. If your laptop computer powers on when the cable is connected but not when it is disconnected, you should consider purchasing a new battery. If your computer does not power on when the battery is connected and when the power cable/charger cable is connected, try removing the battery and seeing if the computer can power on with only the power cable connected. If no power is still received, see the next section. If, after following all the above sections, your computer is still receiving no power, it is likely that a hardware component in the computer has failed. Our experience shows that Power Supply Units fail far more frequently than memory or hard drives, so that's where you look first. If you do not plan on replacing the power supply yourself or if you have a laptop computer, QBS PC Help suggest that you have the computer serviced by your computer manufacturer or by a local computer repair shop.